During their years of survival, will Bella find love in the apocalyptic world? Will she even survive the apocalyptic world? Lexi Dixon is a though 14 year old girl. Talented with a crossbow, or any weapon basically.She never knew her parents or anything about her family. Until she meets  a man who recognizes her easily. She is brought to a prison and meets a boy. Oh I forgot to mention, they're in a zombie apocalypse. "it's me and you until the end reagan dixon"
book 6 overview: carl and reagan are a power duo, always by eachothers side. they are also much stronger when they work together. reagan and rick's bond is rick solid. and reagan is still the center of daryl's world. but in this new world that they've been introduced to, everyone might have to say goodbye. book 4 overview: everything is finally becoming okay again. carl and reagan's relationship is stronger than ever. they trust and love eachother more than anything. rick is relying on reagan and putting trust in her. but through all of this, Daryl has his daughters back no matter what happens. Mary Grimes was dying after the prison attack. She would have died, if Michonne hadn't saved her when everyone else, including her father, presumed she was dead. Rick Grimes was lost after the prison attack. He had lost both of his daughters and his home, losing everything he wanted for his children. Carl Grimes was broke. After the prison attack. He'd lost his sisters, his friends, all of his family. Losing his mother was horrific, but losing his little sisters was slowly killing him. Then they found each other. But that wasn't the first, or last, time they would face a hardship. Mary Grimes was a fighter who claimed she wasn't scared of anything. Aria Jones had to leave her hometown in England all because her father had gotten a job as a sheriff and her mother had gotten a job as a nurse in West Georgia. Her father, Arthur, had taught Aria how to use weapons and how to fight as he heard from the news that there had been sightings of zombies roaming parts of the USA. Aria didn't know why her father was all of a sudden training her as before, he didn't want her anywhere near any type of weapon. Her mother Anna, however, also began teaching Aria but with first aid, birth and how to deal with minor and major injuries. The skills that Aria has learnt will definitely be useful for the future. She just didn't know that. After losing both of her parents in one night it had took a toll on Aria and she felt empty and hopeless. Although, it also made her stronger and more aware of the apocalypse. Aria gets found by the Greene family and they take her in as their own. Join Aria as she deals with death, love, betrayal and hope. This is also a Carl Grimes love story! I don't own The Walking Dead, but if I did, I'd have a lot of Harry Potter stuff. "yep. she's a dixon. no doubt about it." book 1 overview: this book is all about reagan wanting to find her dad daryl dixon. and the struggles that she faces when finding him, and after she finds him. this is mostly about struggles of this new world and the relationship between daryl and reagan. book 2 overview: this book is mainly about the relationship between daryl and his daughter reagan. the group is on hershel's farm, and some miss conveniences pop up there. also carl and reagan's friendship really starts to form. When the dead rise to feast on the living, it becomes nearly impossible to keep yourself, and your family, safe from anything. For Daryl Dixon, that statement couldn't have been more true. As the apocalypse turns the world into a cruel, cruel place, all he can think of is keeping his daughter safe. He may not show it, but he'd do anything, give up anything, to keep her safe, and he knows she'll do the same for him. They would die for each other. But, in this hostile, sadistic world full of walkers, weapons, explosions, cannibals, dictators, and death, can these two Dixons keep themselves, and their relationship as father-and-daughter, from falling apart? 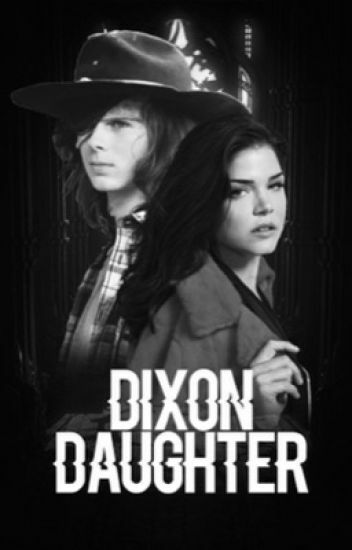 *Note: This is a rewrite of my other story, "Daughter of a Dixon". This story will still follow TWD's plot, but it will also have its own different storyline, original characters, scenes, and dialogue. Thanks to @ryannfaythe for the inspiration on the new cover, and for making the original version! "reagan, you're a natural born leader"
book 5 overview: reagan is now the most trusted group member. still being rick's right hand man, making all the decisions, and leading the group towards safety. her and carl are inseparable. they love eachother more than anything and they always put eachothers life's before their own. daryl is also way more protective of reagan after everything that has happened. he just wants to keep his baby girl safe. Mason Young is a spunky eight-year-old girl raised in Georgia by her dad Scott. She realizes at a young age that she can only trust herself. When the apocalypse begins and her dad leaves, she gets picked up by a police officer and his group. They just don't seem to understand that she doesn't need anybody, which clashes with most of the people there who thrive off of one another.